When I was in first grade our teacher assigned us to write about Christmas. I wrote that Christmas was when Jesus was born. That was probably the whole "essay"--it was first grade, remember? The comments my public school teacher made on that paper led us to find out that she was a Christian. Spring came and she asked us to write about Easter. I wrote that it was about dyeing eggs, bunnies, flowers, and candy. Oops! My teacher and my mom were friends by then and Miss Cleaveland mentioned it to my mother who set about finding ways to help me understand the true meaning of Easter. As a result, when my oldest son was 3 I decided to create an 8 day Easter devotional to do together. Twenty-four years later, we still use it with our kids and soon our grandchildren will be joining in. 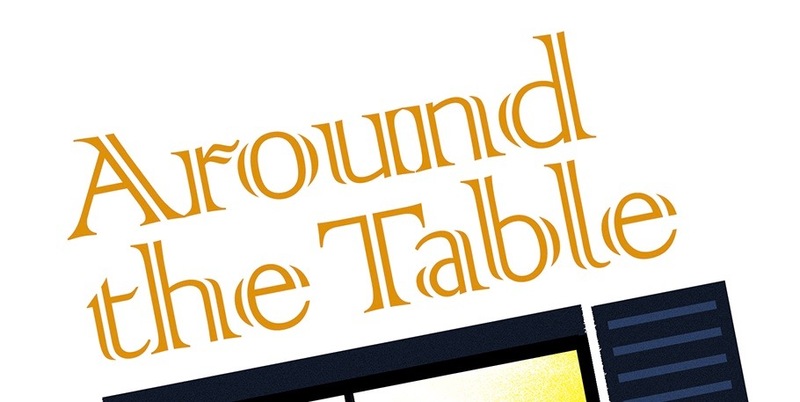 My Easter devotion is pretty easy to copy and I have instructions in my book, "Around the Table". Here are some other ideas to allow Easter to draw you and your family closer to the Lord. Caller: "Attitude check!" Response: "Praise the Lord!" Caller: "He is Risen!" Response: "He is Risen Indeed!" Pick a person, any person involved in the first Easter and learn all you can about them. 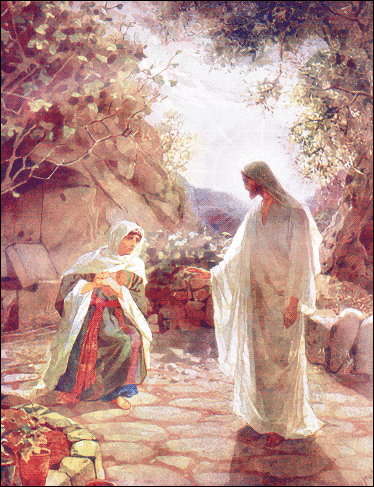 One year I took a deeper look at Mary Magdalene and then I spoke in character and costume at our ladies' meeting telling her testimony from from former life through conversion to the empty tomb. I found it incredibly moving. Wouldn't your kids love getting into the act? Of what three things did Paul want the Corinthians to be convinced? What proof did he give of the resurrection? How many people would have to tell you they saw something amazing before you would believe it was true? How many eyewitnesses does Paul say there were to Jesus' resurrection? In what ways do you depend on Jesus' resurrection being true? How would your life be different if it weren't true? Make "Empty Tomb Cookies" with your children on the Saturday night before Easter. Visit The Garden Tomb website and read some of the articles under the link "About". Look at the photos in the "Galleries" link. 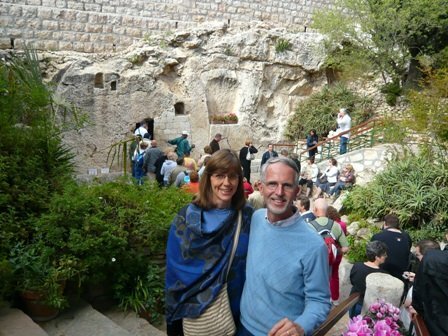 Whether this is the true site of Jesus' tomb or not, the thing that is true is the tomb is empty! That's what our tour guide told us when we had the opportunity to visit on a ministry trip to Israel. "Now you will discover that you have come all this way to see...nothing. Because the tomb is empty!" The Tongans whose group we had joined erupted in a chorus of "Amen! Amen! Praise the Lord! Amen!" And that's the reason for Easter. Talk about it around your table the next couple of weeks. Thanks to those who took a minute to click on the "Vote for Us" button on the right (and up a little). This blog went from 900-something to 194 in the rankings in three weeks! Please keep it up. What wonderful ideas! One time after church, we had a craft time with the kids where we did a similar thing that you did with your basket. 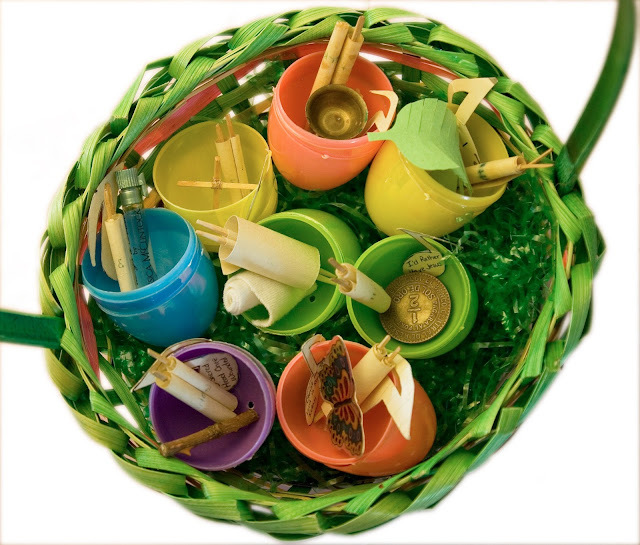 Instead, though, we used egg cartons with plastic eggs and filled the eggs with things depicting the real meaning of Easter. The kids opened one each day (kind of like an Advent calendar). It was really neat. Yes, mine was sort of an advent calendar with an object, mini-scroll, and a hymn to sing. Great ideas - and I love your pictures. Thank you for sharing both your ideas and experiences. Easter sneaks up on me every year, and I regret not preparing with intention. Easter often sneaks up on me, too. Busy time of year? Thank you for this list of ideas. I'd love to learn more about the 8-day devotional but have restricted myself from buying any more books for awhile :) I think I'll focus instead on learning a hymn and trying the resurrection cookies! If you don't mind, I'll be pinning this post to Pinterest so I can easily refer back to it. Visiting from Friendship Friday. So happy to have you pin it! Thanks for doing that! I just found your blog through the Christian Mommy Blog linkup. I love your ideas for making Easter central and Christ focused! So many ways to remind ourselves and teach our kids, aren't there? What a meaningful yet practical post. Such do-able ideas. I just get teary thinking about children focusing on the wonder of the cross and the resurrection of our Savior. Thank you for the ideas! I came from A Sheltering Tree. I loved your ideas! We usually spend Spring Break with the grandsons, but didn't last year and am not going to this year. (Whine). We are going one place and they are going another. I love spending the week at the beach with them. I hope we can next year! I am following your blog. Hope you have a wonderful Easter. Thanks for sharing. I love that your celebration is being passed down to the next generation! Praise God! !